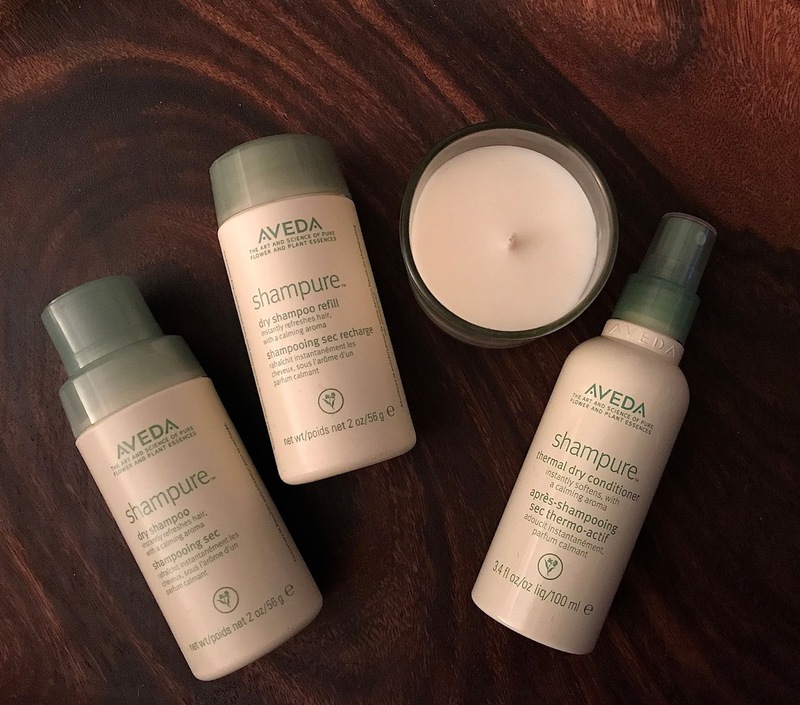 In celebration of Earth Month 2017, Aveda sent me some water-saving essentials to try out, including Shampure™ Dry Shampoo ($30) & Refill ($26), Shampure™ Thermal Dry Conditioner ($31) and the Light the Way™ Candle ($12). I love the Shampure™ Dry Shampoo since it's a non-aerosol powder mist. I don't have to worry about any flaking that sometimes happens with aerosol dry shampoos. The powder mist absorbs excess oils and impurities while instantly refreshing your hair. I absolutely love the calming aroma, with 25 pure flower and plant essences. The Shampure™ Thermal Dry Conditioner is a thermal dry spray that's 97% naturally derived, made with a blend of certified organic jojoba and sunflower oils. It's perfect for conditioning, detangling and softening hair in between washes, and protects against heat styling. The limited-edition soy wax Light the Way™ Candle features Aveda's own pure-fume aroma of certified organic vanilla, cinnamon and ylang ylang and other pure flower and plant essences. 100% of the purchase price goes to Global Greengrants Fund during its Earth Month campaign. Since 1999, Aveda has raised over $50 million to protect and help people gain access to clean water. This year Aveda's goal is to raise $6.5 million. Aveda donated $1 for every post showing how you make a difference with your Earth Month selfie and tagging #AvedaCleanWater. Thank you Aveda for these amazing products and for helping to protect clean water!